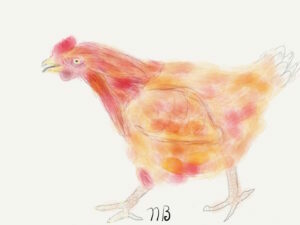 On my Grandmother’s birthday I drew her a chicken. Around my house there are chickens in various forms, made of wood, ceramics, in paintings. When my grandmother grew up, she had chickens that they raised, which she didn’t particularly enjoy. But she liked having seeing these figures of chickens around the house. 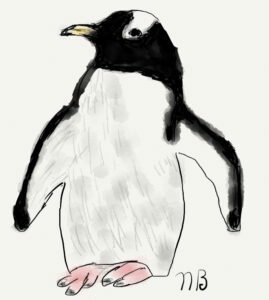 So I drew one for her. It ended up getting framed actually by my mother. Bear for my grandma, like the bear I made out of clay in elementary school. 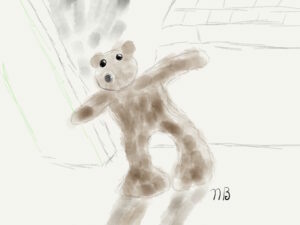 This bear stands in a window of my house to this day. When I made the bear, I thought it looked a little funny, but my grandma liked it and thought that it had personality. I had watched the Star Wars movies a number of times with my brother growing up. 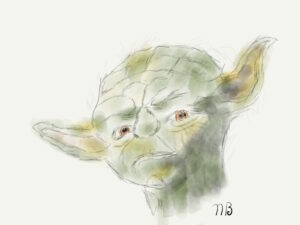 And sometimes he’ll impersonate the voice of Yoda, so I decided to draw Yoda for him. Was playing around with shadows, but didn’t really have a good technique for drawing them yet! 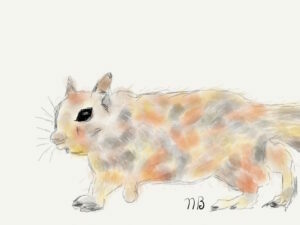 On of my friends draws a bit. She can draw in a pretty realistic way. I tend to draw a bit more abstract. This drawing was based on her drawing but came out fairly different. In Carla Sonheim’s Drawing Lab book (amazon link) there are many different ideas for approaching drawing. 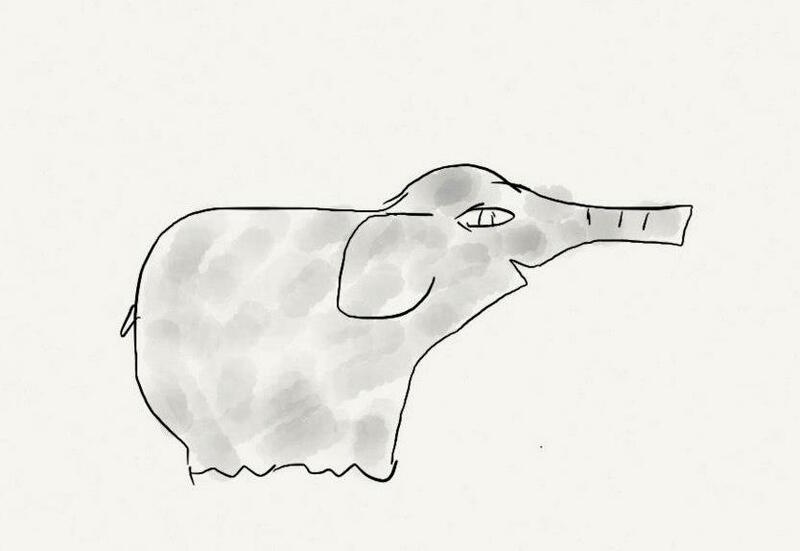 One that I found very useful was that you don’t need to reimagine everything you draw. There are a ton of inspiring things in the world. You can even get inspiration in strange places. Like cracks in the cement. I would sometimes carry a camera with me and take pictures of cracks in the sidewalk. I took this picture when I was walking not from my house with my grandmother. 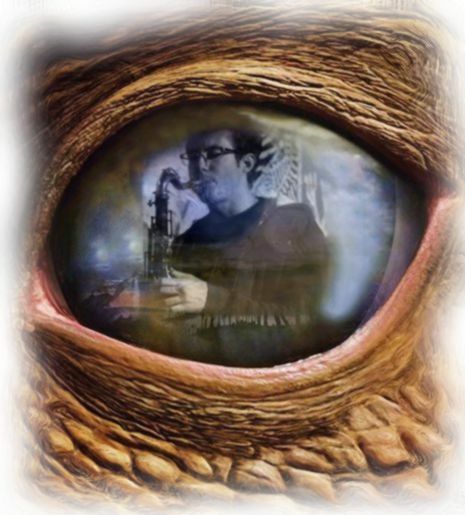 I saw something that looked kind of like a dragon. So I used that shape to draw a dragon. Sometimes I would draw things and not like them. Part of the time I would change them and they would get better, other times I would just move on to something different. 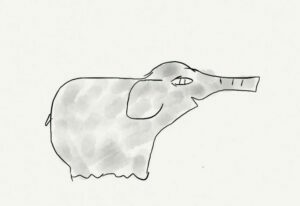 A few days later I drew an elephant. My sister did question my political leanings, but then decided it was okay given the time of year. I drew a little bit more in 2012, but not too often or consistently. My process was basically to slowly sketch out things with small lines. 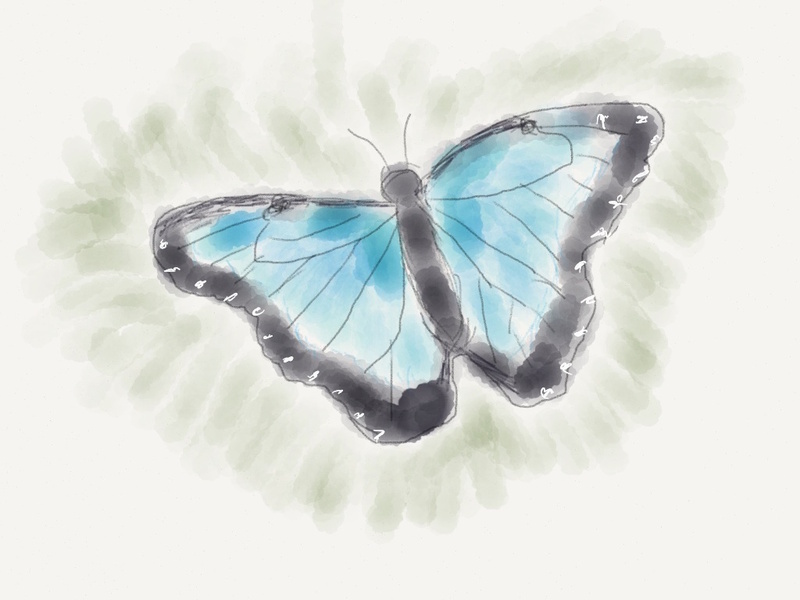 Would use watercolor and pen a little (within the app) in addition the pencil. Here’s a sketch from a few months later of a butterfly.